I've always wanted to soar like a bird. In fact I've even had dreams about it. I'm sure that we all have at one time or another. There is nothing more graceful than a bird in flight. Where I live, in Northern California, we have white Egrets that fly over our local lake, and they are amazing looking. 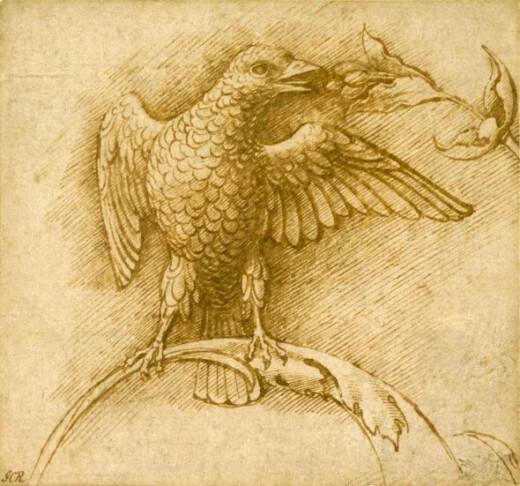 Artists throughout the ages have admired the visual characteristics of birds and have depicted them in a lot of different ways. I've tried to give a sampling of this in this MOBA - Museum of Bird Art lens. I hope that you agree with my choices and if you have any suggestions please comment below. 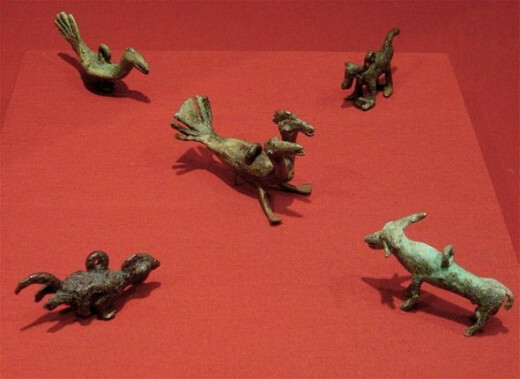 The images shown have links back to the originating websites for further exploring. 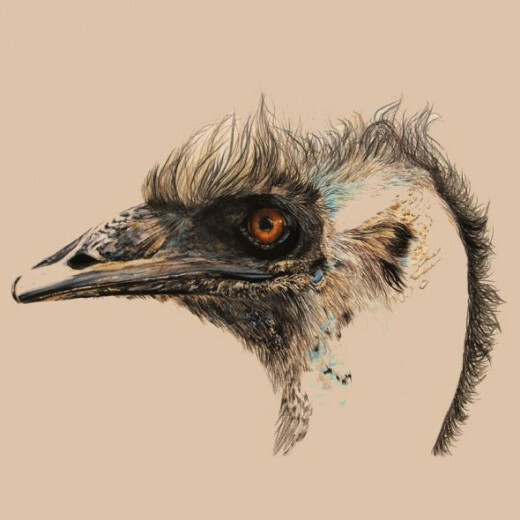 I was taken immediately by this artist's rendition of the profile of an ostrich. It has the perfect combination of detail and spontaneity that really appeals to me. Here is a quote from the artist herself: "I have always loved to draw and paint and I own and run my own gallery, cafe, gift mall, and framing businesses. I am a retired public school art teacher, but still teach lessons and workshops. I travel, paint, and do lots of photography". (Click on the image to see her website). I've always been fascinated by detail in art and the medium of mosaic seems to satisfy that need. 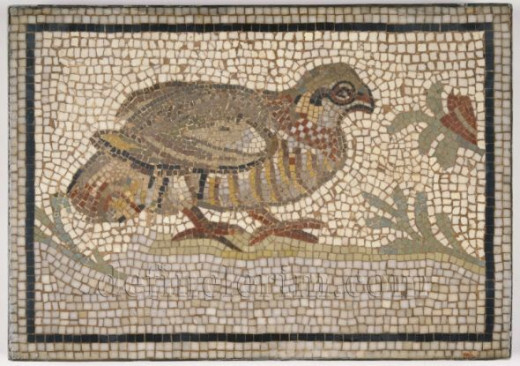 This is one of Twenty-one Roman mosaics that were acquired by the Brooklyn Museum in New York in 1905. It is a mosaic of a Bird in a Vine by an unknown Roman artist, 3rd century-5th century A.D. Tunis, Tunisia. Here is an architectural fascade marble sculpture in relief. 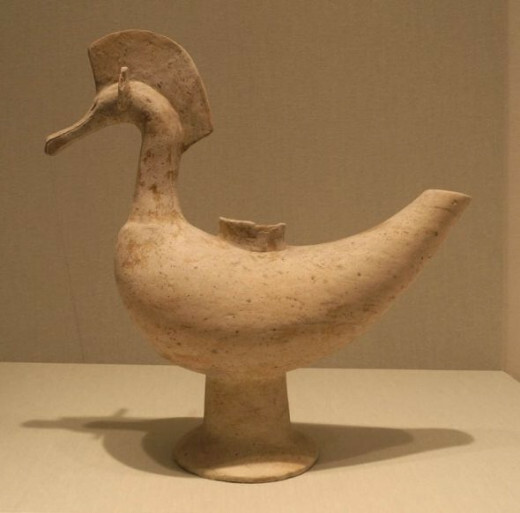 The subject is two birds and it was done in the 13th Century in Venice, Italy. 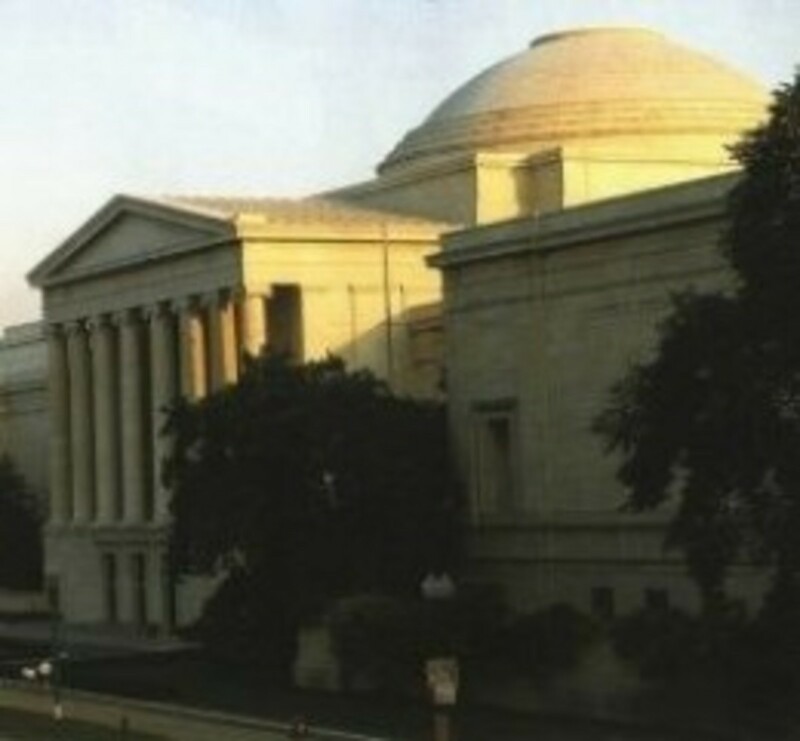 It now resides at The Walters Art Museum in Baltimore, Maryland. 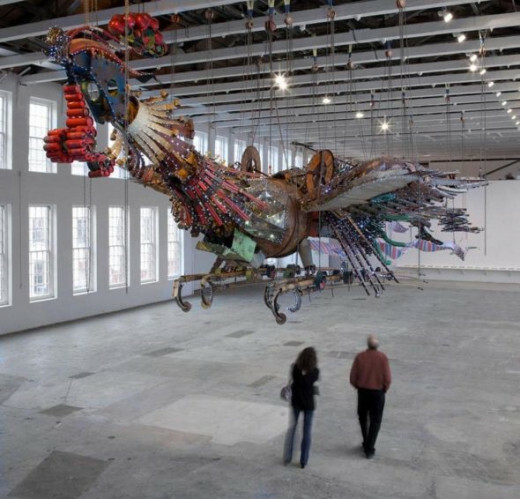 There are two of these massive birds hanging in Mass Moca's huge Building 5 gallery. They weren't supposed to. These two assemblage pieces were rejected by a real estate developer in Beijing, China, who commissioned the artist Xu Bing to create them. 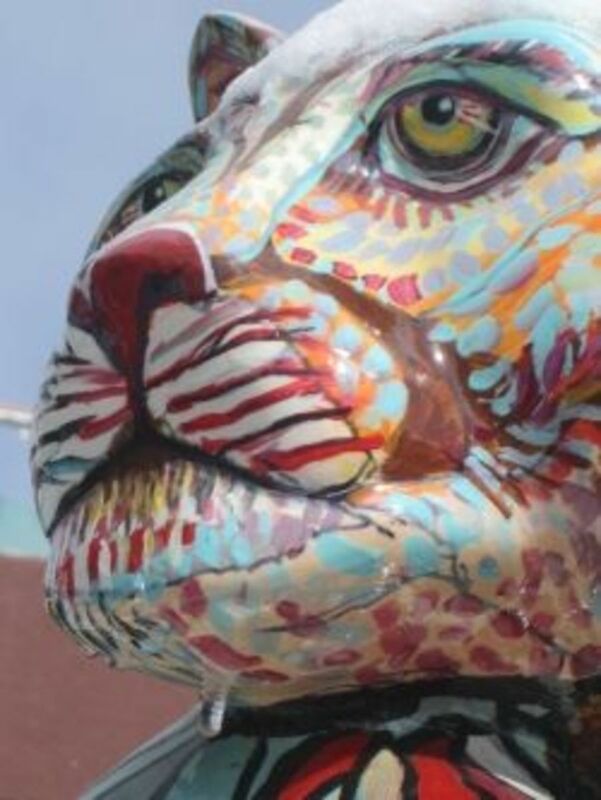 There was a dispute over materials: the agent wanted the sculptures to be sheathed in crystal and the artist didn't particularly like that idea. Each of the "Phoenix" sculptures are 100 feet in length and were constructed out of recycled construction debris. Since the big birds were homeless, they at least found a temporary spot at Mass MoCA. No bird museum would be complete without one of the beautiful illustrations by John James Audubon from his massive book called "The Birds of America". He did 435 of these illustrations for the project and it took him 18 years to accomplish it. In addition to locating the birds, doing the actual sized art, making the book, finding subscribers to sell it to, he also wrote thousands of pages about these winged creatures called "Ornithological Biography". 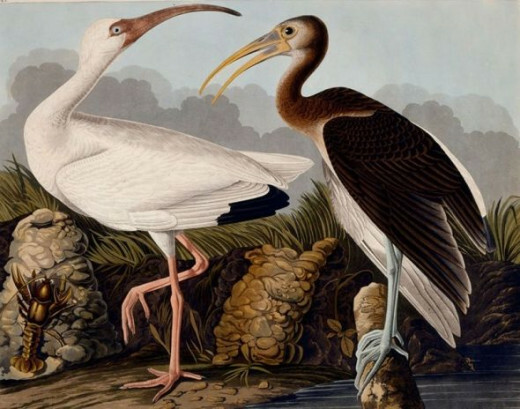 The picture above is titled "White and Brown Ibis". I've always loved these old Dutch floral paintings. Their infinitesimal detail and delicate colorations really appeal to me. I actually owned a more recent Dutch floral a few years ago. This one was painted in the early 1700's by the artist Jan Davidszoon de Heem, (1606 - 1684) who was a Dutch/Southern Netherlandish painter and master draftsman. 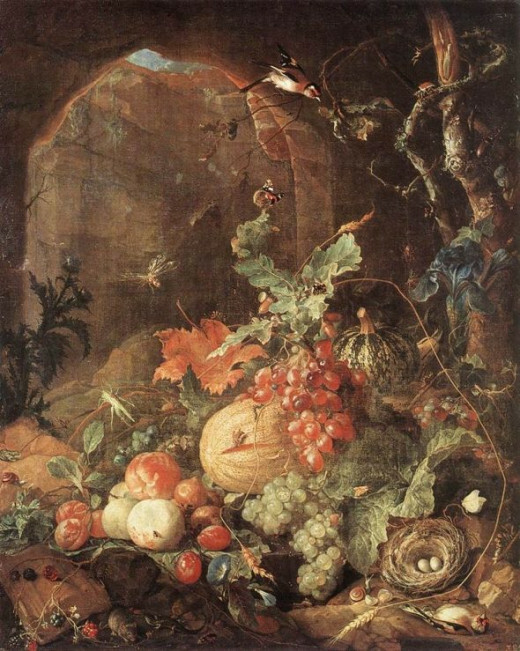 The painting shown is titled "Still Life with Bird-nest" and was painted in oil on canvas. It measures 35 inches tall by 28.3 inches wide and is currently located at The Gemaldegalerie Alte Meister. 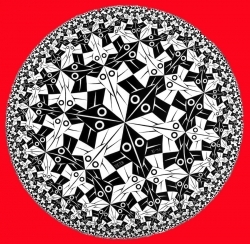 I met a great lady painter a few years back that had a story about Escher. It seems that her father and M.C. Escher were friends and used to hang out at a pub occasionally. She was very young and would tug on their trouser legs to try to get their attention. In later years I could see MCE's influence in some of her work. I've always been amazed at the gifted mind that was able to come up with these mathematically intricate compositions. When I saw this one I was surprised to find out who the artist was. Yes, it was Vincent Van Gogh, painted in 1886 when he was living in Paris. 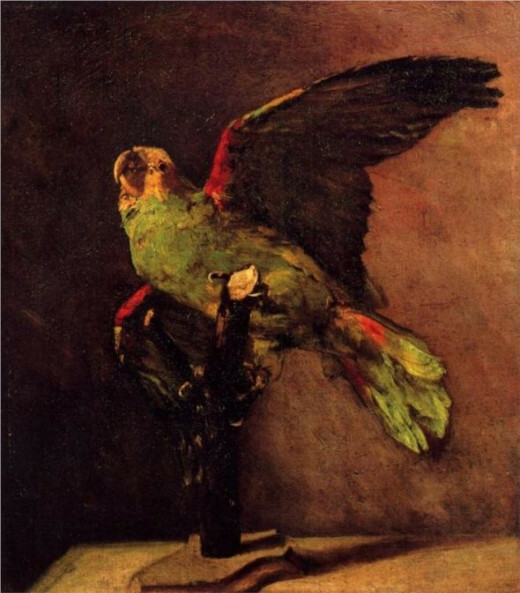 It depicts a parrot that is flapping it's wings while holding onto it's perch. It was painted in oil on canvas. I couldn't find information on it's dimensions, but I would guess that it was one of his smaller works. 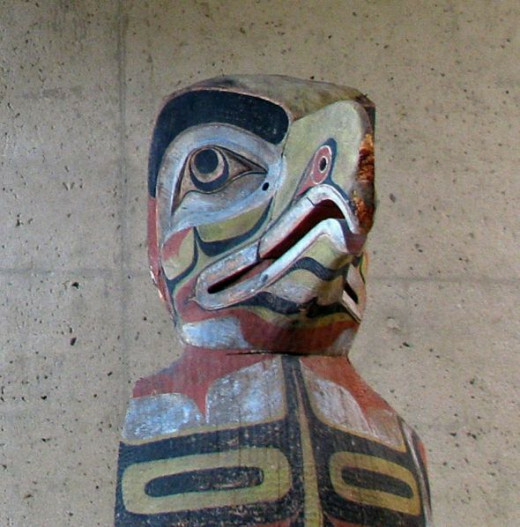 Here is a close up of a large sculpture of a Thunderbird, carved in wood. Created in 1910. Click on the picture for more information. 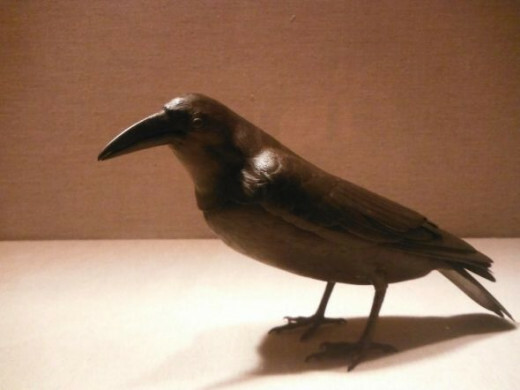 Which Bird Would You Rather Paint, Sculpt or Draw? Love those illuminated manuscripts :). This one is by an unknown illuminator. 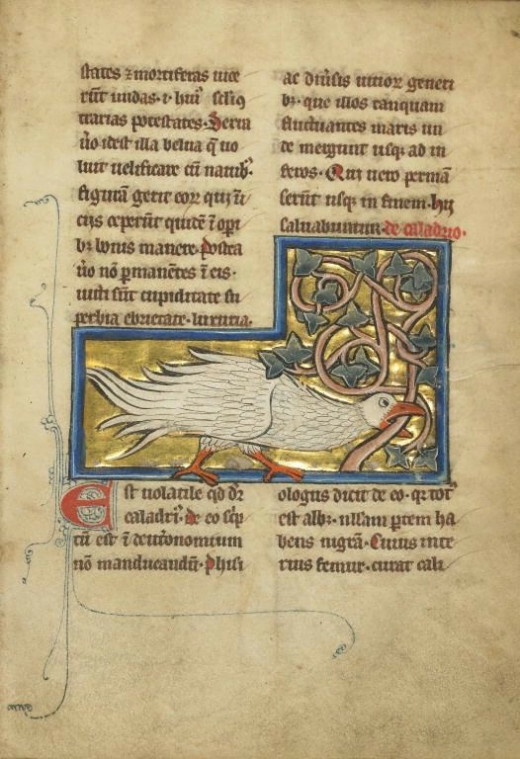 It is titled "A Caladrius Bird", and is Franco-Flemish, created in the late 1300's (after 1277). 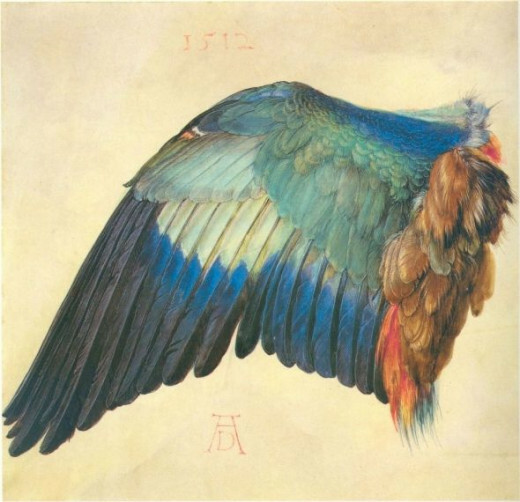 It was painted with tempera colors using pen and ink, gold leaf, and gold paint on parchment. The size of the page is 9 3/16 inches high by 6 7/16 inches wide. I really like the clean lines of this piece. 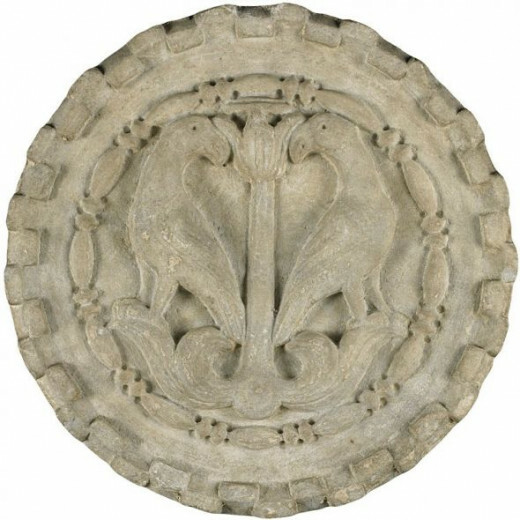 It was created in the late 17th to early 18th century. The artist was Myochin Munesuke (from the Japanese, Edo period, 1688-1735). 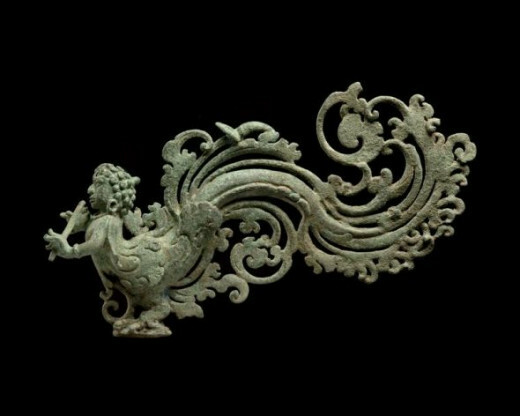 It is currently being exhibited in the Metropolitan Museum of Art's "Birds in the Art of Japan" exhibition. (Click on the image to get more information). Birds Screaming Their Heads Off! Just kidding. Here is another master painter Frans Snyders who painted in the Baroque style. It is a painting of scores of different birds (I think I counted 30 or so) that are seemingly all singing at the same time. 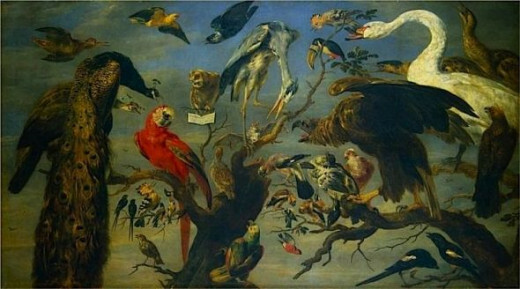 It is titled "The Bird's Concert" and was painted in oil on canvas. The painting measures 240 cm wide by 136.5 cm high. It is housed at The Hermitage Museum in St. Petersburg, Russia. I really love this lady's sculpture. It has very simple, clean lines, so I decided to add it to the MOBA. 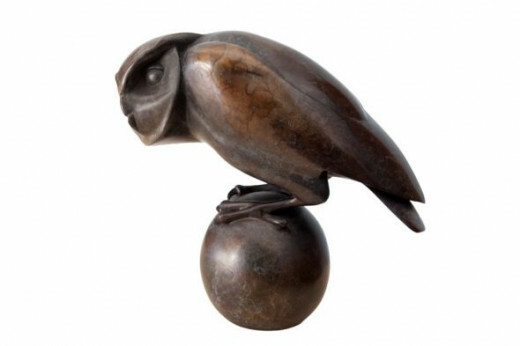 The piece shown is of an owl, cast in bronze. The artist lives and works in Australia. To learn more about her and her work please click on the image. They are guessing the date on this one as somewhere in the late 1400's. (1475 - 1485?) The artist is Andrea Mantegna (1431 - 1506). 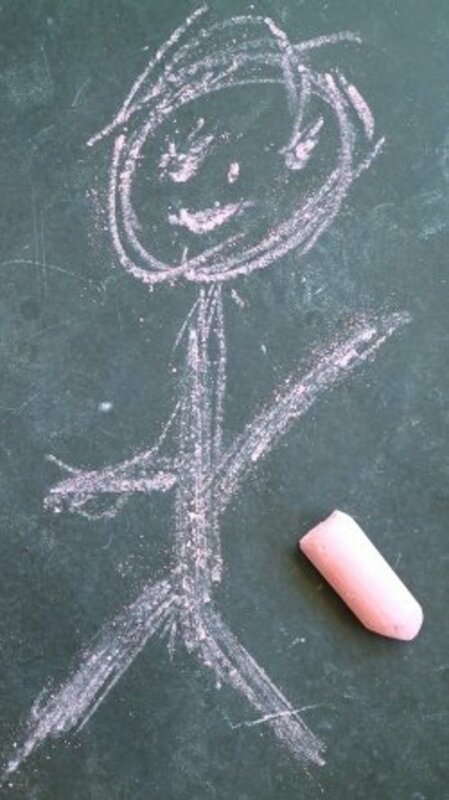 The drawing itself measures 10.4 cm in height and 11.5 cm in width. It is drawn with pen and sepia ink and resides at The Washington National Gallery of Art, Washington, DC. Nice lens, great selection of artwork!